A United States captain, Wren Thomas, who was taken hostage and tortured in a filthy and mosquito-infested camp in Bayelsa State for 18 days after his supply vessel was hijacked by Nigerian pirates, has told Harris County Court in the US that Chevron was responsible for his travails. Thomas sued Chevron USA and Edison Chouest Offshore LLC, (ECO) on October 16, 2014 in Harris County Court, accusing the two companies of gross negligence. The captain, who is being represented by Brian Beckom with Vujasinovic & Beckom of Houston, is seeking punitive damages against Chevron for gross negligence, under the Jones Act, a US federal law that regulates working conditions for US seamen. In his statement of claims seen by Courthouse News Service of Houston, Thomas said the ordeal left him with post-traumatic stress disorder, insomnia, high blood pressure, an infection, and financial and marital problems. He told the court that in July 2011 Edison Chouest made him captain of its 200-foot vessel, the C-Retriever, which was supporting the drilling activities of Chevron Nigeria off Nigeria’s coast. According to him, Chevron and ECO were well aware that Nigerian pirates patrolled the area, because pirates had stormed ECO’s vessel, Fast Servant in 2010, beat two US captains and stole the boat’s equipment. “Again, in November 2011, three men employed by ECO aboard the C-Endeavor supporting Chevron Nigeria operations were attacked and taken hostage,” he said. Thomas told the court that despite the risks, Chevron and ECO did not develop a protocol to deal with such attacks, adding that the two companies also failed to replace their supply boats’ radio communication systems with more secure satellite phones. “The policy significantly increased the danger to officers and crew because it allowed potential hijackers to monitor locations and destinations of vessels in the region,” he added. He further stated that the danger became tangible in the spring of 2013 when he began getting death threats over the boat’s radio system and cell phone. Thomas said he had reported the threats to his Chevron and ECO bosses, who assured him the problem had been handled. Thomas also disclosed that after ECO received an anonymous email warning that he should not return to Nigeria for his onshore hitch, he requested the company to transfer him off the C-Retriever. “On October 17, 2013, ECO received a detailed threat from a militant group in the state of Bayelsa, Nigeria. 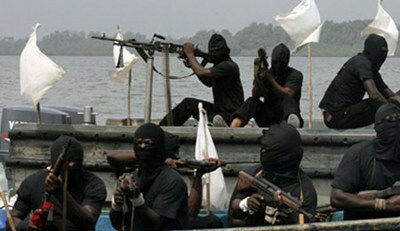 The group threatened to kidnap ECO vessel crews and burn their vessels if certain demands were not met,” he added. According to him, en route to the delivery point, the C-Retriever was attacked by Nigerian pirates in the Gulf of Guinea, at 3 a.m. on Oct. 23, 2013. “Captain Thomas and the majority of his crew attempted to evade capture by taking refuge in the vessel’s Bulk Tank Room. However, after six hours, the pirates were able to breach the room and open gunfire on Captain Thomas and his crew. To avoid loss of life, Thomas and his engineer were forced to surrender,” said the court documents. The pirates separated the crew by nationality and took the Americans, Thomas and his engineer. Thomas said the pirates took him to a “fly, mosquito and pollution-infested camp in the Nigerian swamplands” where he was tortured and underfed for 18 days. ECO paid a ransom to get Thomas and his engineer released, but did not disclose the amount. The Movement for the Emancipation of the Niger Delta (MEND) took credit for negotiating the two men’s release, and claimed they were paid a $2 million ransom.